Alexander Raban Waugh (1898-1981) was the son of Arthur Waugh (1866-1943) and Catherine Charlotte (née Raban) (1870-1954), and elder brother of Evelyn Waugh (1903-1966). 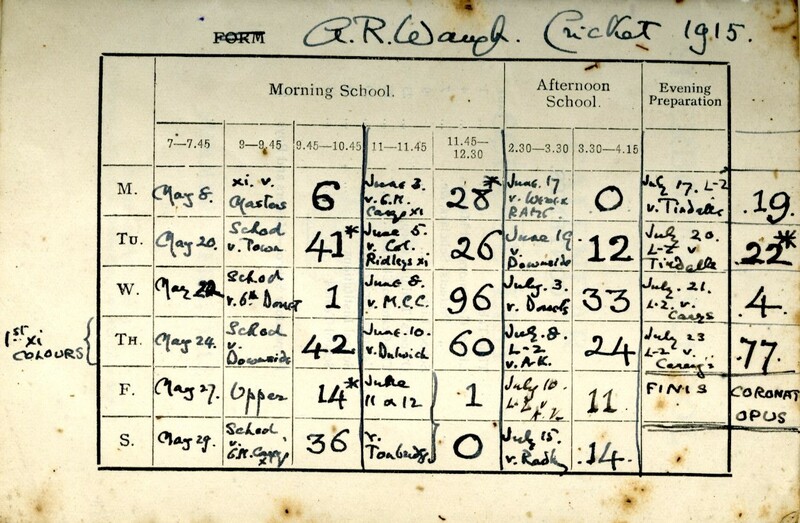 Alec attended Sherborne School from September 1911 until he was asked to leave a year early in July 1915. Between January and March 1916, Alec wrote his first novel, The Loom of Youth, which he later described as his ‘love letter to Sherborne.’ However, when the novel was published by Grant Richards on 19 July 1917 it caused a great controversy at Sherborne School, with the result that Alec and his father resigned from the Old Shirburnian Society (they were not reinstated until 1933) and Alec’s brother Evelyn Waugh was sent to Lancing College rather than Sherborne School. In 1965, Alec Waugh presented Sherborne School with the manuscript of The Loom of Youth together with a volume of press cuttings of reviews of the novel, and in April 1966 he gave the School an album of private correspondence dealing with the publication of the novel. 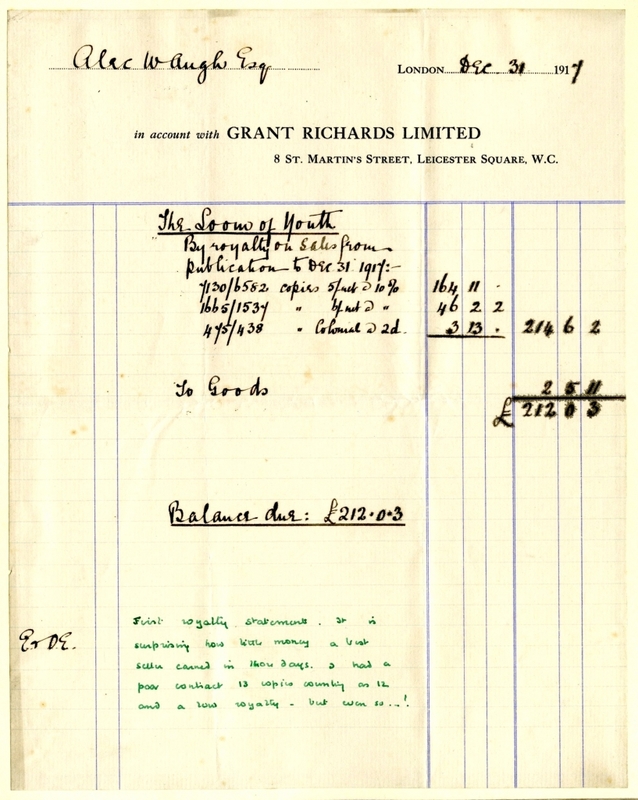 For further information about Sherborne School’s Alexander Raban Waugh Archive please contact the School Archivist.